If you are wondering how to actually make money blogging, you are in the right place. Because that’s exactly what you will learn in this guide. Since 2007 I have generated a large amount of my income as a direct result of blogging and even today I firmly believe it is one of the easiest ways to make your first $100 or $1000 online. I’m not here to show off though and you shouldn’t set your expectations to be in line with where I am today because I have been doing this for over a decade. The reason I am here is to show you how you can make money online from blogging and how quickly you can start seeing your first few bucks provided you avoid trial and error. In typical Mazepress fashion, this guide is going to be detailed. So make yourself a cup of <insert your favorite beverage> and put on your best business attire, it’s time to make money! As I mentioned, I first published a blog post back in 2007 a time when WordPress was a breath of fresh air and when weblogs were yet to be abbreviated to just blogs. It didn’t take long for me to see the potential in blogging. Maybe I was lucky, but I managed to see nearly instantaneous growth in traffic as a result of using this new and exciting medium to communicate with my audience. On one hand, it was easier back then, there were fewer competitors and the algorithms were less intelligent, but on the flipside, it was also more difficult to build your website or blog and to find high-quality sources of information and help. These days there’s a lot more of info available on blogging, content marketing and building a profitable online business from both paid and free sources to make it easier but granted many of the top money keywords are saturated as there are more people competing for a slice of the pie. You shouldn’t be put off though. I had to learn the hard way through trial and error alone and while there’s no replacement for practical experience, you can at least benefit by learning from other people like myself to save you some of the painful headaches, wasted energy and money. In the past decade or so I have launched dozens of blogs and websites, some have gone on to generate 6-figures a year, some have failed miserably and barely got off the ground while others have become modest semi-passive income sources. In that time I have experienced the ups, the downs, and the sideways! At one point I even experienced the Upside down! Kidding! I like to stress the semi in semi-passive because the phrase passive income is thrown around like the holy grail of blogging and online business when the reality is the majority of passive income streams aren’t completely automated. All blogs and websites require a certain amount of upkeep, maintenance, content, and promotion to maintain their rankings and to continue generating traffic and conversions. There’s no such thing as set it and forget it in the world of internet business. If you neglect to nurture your blog then it will most likely slowly lose traffic and gradually earn less each month. So I am writing this guide for people who are in the same position I was all those years ago, the version of me who is just starting out and looking to finally crack the code of making money online. But Don’t I Need Lots of Traffic First? A common question I get asked when someone is starting out with a new blog is how much traffic is needed to make a full-time income from blogging. The truth is there is no good answer to this question but the important point I stress is that you can make money with a lot less traffic than you think, provided you are targetted and have a strategy. There are niches and topics that get millions of searches a month but the profitability and commercial intent of these queries are extremely low, an example could be people reading a celebrity gossip blog. They are there for the lulz, not to buy anything. In this case, you might need a lot of traffic especially if your main source of revenue is from display ads like Google Adsense, AdThrive or MediaVine. Alternatively, let’s think of a niche that has low to medium search volume in comparison to a celeb gossip blog, like maybe 25,000-50,000 searches per month like “Lawn Mowers”. Here you may have a lot less traffic, but for starters, you know all of the visitors are likely interested in one specific thing, which is looking at lawn mowers and secondly because it’s a product there is a higher likelihood the visitor is also a buyer willing to part with their money. As a bonus, with this particular niche, most of the items being purchased are what you would call high-ticket items, that is, items that retail for more than $100 and as a result, you can generate more income with fewer customers and sales. So don’t delay monetizing your blog because you currently have low traffic and not many blog posts. This doesn’t mean go and plaster the maximum number of banner ads possible since display ads typically require the most traffic to generate any decent blog revenue. Traffic is a vanity metric! Yes, you want to grow your traffic over time but don’t obsess over trying to achieve millions of hits, instead focus on connecting with targetted visitors that are interested in your content and offers. Okay so now we have covered why I am creating this guide and have shared some home truths let’s take a look at the overview of how you can start a blog and make money. Whether you are currently just researching or already have a blog we are going to take this from the top. It all begins with a purpose. The best way to make money from content marketing is to solve problems and educate people. This allows you to gain trust, build authority and occasionally promote products that are useful to your audience. There’s an art to niche selection and you should consider various factors if you want to ensure you have a profitable niche with plenty of commercial intent. Some niches are extremely popular and generate a lot of search volume but can be competitive at the same time, others generate lower volume but may present more opportunity if you are starting out. It’s also worth mentioning that if you are forward-thinking with your branding and don’t pigeon-hole yourself with your domain name you can always pivot and branch out into different subject areas as you go. Your blog can evolve organically over time just as you do. Read our extensive guide on how to brainstorm and research niches and topics for your blog. Once you have your niche and know who your audience is, it’s time to create your blog. If you need help with this stage I have written a very in-depth guide on how to start a blog that you can come back to after. Getting started with our preferred blog setup using self-hosted WordPress with one of our recommended blog hosting providers couldn’t be easier. Signing up and getting a vanilla (that means blank) copy of WordPress installed takes around 10 minutes from start to finish and is the most important asset in your digital empire. Once the basics are set up you will want to do some configurations and you may want to change your theme but don’t obsess over this and waste time. One of the biggest mistakes I see is people investing a disproportionate amount of time on their theme, design and other things which really don’t matter as much as you might think and if over-produced can hurt you more than they help you. Are you familiar with the KISS Principle? K.I.S.S = Keep It Simple, Stupid. This design principle which was attributed to aircraft engineer Kelly Johnson of the U.S Navy in 1960 acknowledged that systems work best if they are kept simple rather than complicated. Therefore simplicity should be a key goal in design and that unnecessary complexity should be avoided. I remember learning this back in high-school in my business studies class and it has been a fundamental pillar of my design ethos ever since. Maybe the digital-age version of this advice should be, design your blog like you were Steve Jobs designing an iPhone. The next step once you have your blog ready. is to focus on consistently creating quality content. Consistency isn’t to be confused with frequency, every day, or the more the merrier. Instead, find a publishing schedule you can realistically stick to without diluting the quality of your articles. Quality is a bit vague so let’s look at how I define quality blog content. While in an ideal scenario you will be consistently checking off all of the above 4 fundamentals, if you can only hit one, make it the first one and prioritize proving value to your audience. Your readers are most likely finding your posts because they are searching on Google with a question they need help with or they saw your article linked on a social network and the headline caught their attention. If you help them, they will forgive spelling and grammar mistakes. And there are other ways to generate traffic and money without writing extremely thorough 4000-word articles and being an SEO Jedi, though it does help. When trying to get maximum exposure to your blog posts, go through this blog post checklist and work your way through to plan, create and promote your articles the right way. Most of the guides on how to make money online or how to start a blog seldom put enough emphasis on the promotion side of blogging. Blog promotion is essential, gone are the days where if you build it, they will come. The internet is a busy place and if you want to get traffic to your blog then you need to have an effective blog marketing strategy. You should spend twice as much time promoting your blog posts as you do writing them. So if you spend 2 hours writing your blog post, you should be spending at least 4 hours on promotion, but you can do the math. Syndicating with social networks like Facebook, Twitter, and Pinterest. Adding to any social bookmarking sites that are worth your effort. Contacting brands and individuals mentioned in your articles. If you are producing evergreen content (and you should be) then you want to develop a promotional calendar so you can go back every once in a while and look for new opportunities to share and promote your older content. This is why it’s important to prioritize evergreen content, you can promote it over and over again. If you are just starting out, your best social media marketing efforts will be spent on Pinterest marketing since that platform can help give your new blog the kickstart it needs to generate traffic and get Google’s attention. If you dilute yourself by spending too much time trying to master all of the social networks then you will likely stifle your progress. Start with Pinterest, Facebook, and Twitter, and put Pinterest at the top of your list. Once you are comfortable managing 3 social networks and you are generating some decent traffic then consider expanding your horizons and investing more time and energy elsewhere. Once you have created some of your base content, worked on promoting your articles for a while and you are starting to generate some traffic, it’s important to nurture your audience and build your tribe. Your audience will be your best barometer of how well you are doing and what content you should produce next. Ask your readers what they want to see you create. If you aren’t sure what product to create or sell, ask your audience, this ability to tap into the minds of your readers and use them to qualify and validate your ideas before you invest lots of time and money is vital to your success. There are lots of tools you can use to help you build your audience but by far the best is still building an email list. 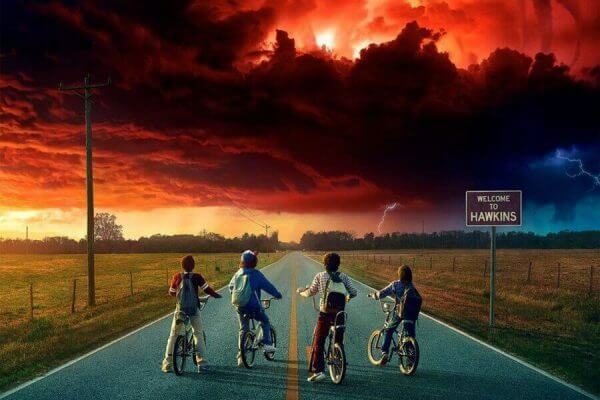 You might have seen people proclaiming email marketing is dead, open rates are dwindling and that chatbots are the future, however that’ really isn’t the case. Chatbots are great, they have their place and can be a great way to create smart automation flows but there’s no interaction as intimate as sharing your personal email address. Even if email open rates are down, as long as your content is good and you are sending emails to your true followers with enticing headlines you will still get a great conversion rate when compared with social channel average and other subscription methods like push notifications. You own your email list! You’re renting your social influence. By keeping the people who have expressed an interest engaged with your brand and message you have a higher chance of generating sales further down the line. We recommend using Mailchimp if you are just starting out because it’s free but I also have a guide on the best email list building tools which compares the pros and cons of the best alternatives like Drip, ConvertKit, and AWeber. Okay, the bit you have been waiting for. There are a lot of different ways you can make money blogging but which methods are best for you will vary a lot based on your niche and current position. While it makes sense to create a video course about blogging or podcasting the same can’t be said for all niches. Ideally, you want to start with focussing on using one monetization method until you grasp it properly and then diversify to create multiple income streams. This helps protect you in a situation where one of these streams dries up or stops performing as well. Take it from someone who has relied too heavily on a single stream in the past and paid the price. It’s best not to have all your eggs in one basket but at the same time, you don’t want them in too many baskets either, you can end up diluting yourself too thin at the expense of progress. 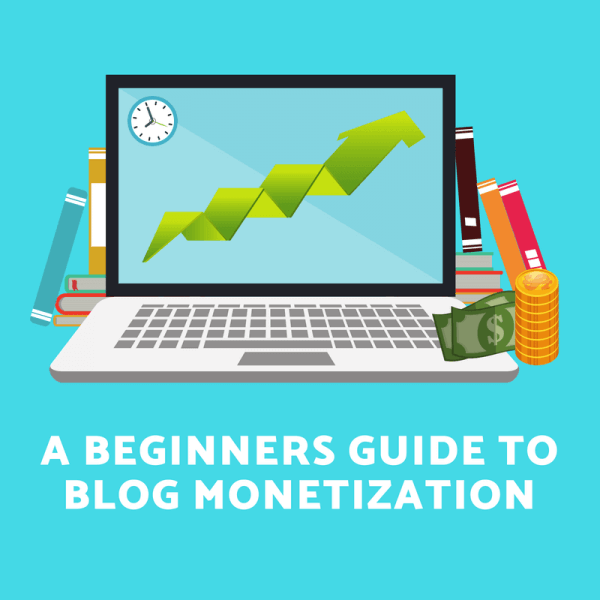 In this section, we will look at each blog monetization method I recommend exploring and then discuss what types of websites and niches each are best for. If you ask most people how websites make money, the de-facto response tends to be something like by selling advertising space or those banners. The truth is, this is just one way that websites can be monetized and while many have moved away from this model, broad subject websites like news sites are still heavily reliant on them. There are different ways you can use ads on your website and these can include forming direct partnerships or what most people do and that’s to use an ad network like Google AdSense, AdThrive or MediaVine. Some people loathe ads, both consumers, and webmasters and while you won’t find them on this website I still strongly believe they have a place. On websites with high volume but low specificity and topical relevance, these are in some cases one of the only ways to monetize a website. The problem is, they aren’t so effective on new blogs which are small and receiving low traffic numbers. You only start to see good money once you have substantial traffic and often you are better off leaving ads out at the start as it can help you gain more trust with your audience and avoid distractions. Banner Blindness – People have become psychologically blind to banner ads and often ignore them leading to a low click-through rate. Higher Traffic Requirements – Generally you need a decent amount of traffic to move the needle and generate a worthwhile amount of money. Also, the higher paying platforms like AdThrive and MediaVine have minimum traffic requirements to apply. Limited control – While some ad networks will allow you to customize and tweak which ads are shown you never have complete control over which ads appear on which pages and posts. Commercial Conflicts – If you are running display ads and banners but also use affiliate marketing you might find the ads eat away at your potential affiliate conversions. This is far from ideal since you will make a lot more from an affiliate conversion when compared with an ad click. Efficiency – While it is one way of making money it’s possibly the least efficient and lucrative. If you are blogging about a niche or topics that allow you to write about products, services and anything else that is focussed and has commercial intent then you are probably best skipping advertising networks and ad banners for now and moving onto the other options. You can always consider coming back and adding ad networks as an additional income stream later on. If you are running a blog which has no way of promoting anything targetted, covers a wide range of subjects or a niche like the celebrity space then yes ads might be the best way for you to start generating some revenue from your blog. If you need to monetize with ads from early on you want to start with Google AdSense, it’s probably not worthwhile though until you have at least a few thousand unique visitors per month. Ultimately you want to get your traffic over 30,000 so you can apply to the Mediavine ad network and then you can also explore AdThrive who require 100,000 page views each month to be approved. Ad Networks pay using a calculation called RPM and CPM which this stands for revenue per mille and cost per mille respectively. This basically means the amount you earn per 1000 visitors. If the typical CPM is $5-10 then that would be 5-10 divided by 1000 to work out the cost per visitor or revenue per visitor. FYI: Mille means Thousands in Latin, like in millennia/millennium. If you are also running a podcast or newsletter service then you can offer companies the chance to sponsor an episode or issue. 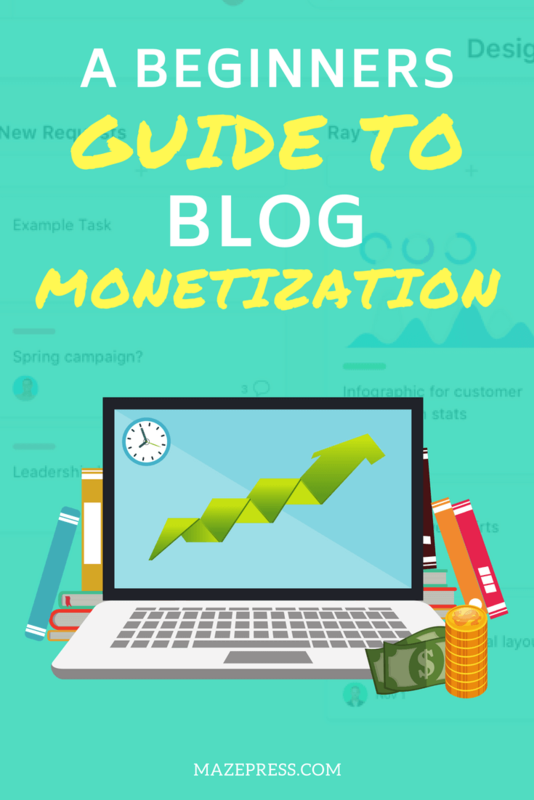 While this isn’t directly monetizing your blog it is still monetizing the audience you have grown as a result of your blog and your content marketing efforts. If you are running a podcast then sponsorships are the best way to monetize this form of content. Sure you can include ads and affiliate links in the show notes but not everyone checks these and many of your listenership might be using iTunes rather than your website to tune in. If you are familiar with the popular Inside.com newsletter service you will know that each of their newsletters has a different sponsor and this changes on a weekly basis, it also appears to be their only method of generating revenue. Their business model is interesting, if you check out the website you will notice they have no content, it’s just a series of categorized newsletters you can subscribe to via email. I think of this as blogging in your inbox. With the right audience type and size, you can make a substantial amount of money from sponsorships but they may not be an option when you are starting out and lacking influence. Keep in mind including paid advertising in your email newsletters may impact your responsibilities with the GDPR in terms of full disclosure and ensuring users have opted-in to these kinds of messages, so make sure to do you research. One of the most common ways to monetize a blog is by using sponsored posts. The idea is, you work directly with a brand or merchant on a piece of content for your blog that they are paying you to produce. Typically you will be given a product or topic to cover but you may be asked for input on ideas if you have some. Then you will produce the content, publish on your blog and also share on social media and via your email newsletter and any other outlets. You may also get a free product to try as a bonus. If you can negotiate freebies from time to time you can use them as promotional giveaways or give them to guest authors in exchange for reviews or other content. You must disclose that the post is a sponsored post to ensure you aren’t misleading your readers and stay within the advertising laws. Sponsored posts may be a great option for some blogs but I rarely use them. Occasionally I will get requests to publish sponsored posts on my more niche blogs and websites and I only accept about 20% of them. You need to put your editorial standards first, after all. For me, they take away my ability to speak my mind and often don’t fit with the message I am trying to convey. I recommend all bloggers at the very least try one or two sponsored posts with reputable vendors that they trust. This will give you experience working with brands and negotiating. You will see the pros and cons of sponsored posts for yourself and be able to decide how much of your monetization strategy they should take up. I am going to start by saying that affiliate marketing is by far the best way to monetize your blog when you are starting out and on a budget. Affiliate marketing involves promoting other companies products or services in exchange for a commission when you refer new customers. Your commission is earned on a per sale basis and is generally managed by either using cookies to track visitors who clicked links on your blog or using referral codes to apply a discount for the customer at checkout. Why is affiliate marketing my favorite way to make money blogging? Doesn’t require a lot of traffic to make money. In fact, I have had articles that got 20 visits a day but because they featured high ticket products and due to their targetted nature they comfortably generated $50 a day. You wouldn’t even make cents from that kind of traffic with display advertising. When you promote affiliate products that you believe in and use an educational approach by teaching your readers how to use a product you are also not selling your soul and any product placements seem perfectly natural. Don’t fall into the trap of promoting affiliate products that are too good to be true, just because they offer the highest commission or because others are promoting them. Stick to promoting products you actively use or have used in the past and only stopped using because your circumstances changed and you no longer require it but would still happily recommend it to a friend or family member without feeling guilty. Use the friends and family filter to make sure you are treating your visitors with the same level of care and respect. Your readers are your new friends and family, take care of them and you will maintain their trust at all times. Creating digital info-products probably offers the best possible return on investment and while they are a great way to monetize your blog or website you should consider a few things. Not all blog niches present as many opportunities to create info products. Some might work and others might not, so do your research and look at your competitors. It can take a considerable amount of time and money to create a good digital product, it’s easier to do this if you already have some revenue coming in from affiliate marketing and other sources. You always want to validate any ideas before you invest days, weeks or maybe months creating a product. It’s much easier to validate your ideas when you have an existing audience and email list. Then you can ask them which of your product ideas they would most like to buy and then start working on that one. With that said, once you have a consistent income from affiliate marketing and your blog, creating your own product should become your number 1 priority if you want to make the big money blogging. Let’s take a look at some different examples of digital information products you could create. This is where most bloggers start as it’s possibly the easiest info product to make. Create a short and succinct eBook that helps your reader solve a common problem or learn a new useful skill. There’s no technical software required, you can create your eBook with Microsoft Word or Google Docs and then save it as a PDF. If you want to create a book cover you could use any graphics tool you want but Canva is probably the fastest and easiest. Then it’s just a case of putting it for sale either on existing eBook marketplaces like Amazon and converting to Kindle format too, or just sell it directly from your blog using one of the many WordPress plugins available. I personally like to use WooCommerce or Easy Digital Downloads if I don’t want to build out a full store. This approach minimizes the running costs and you also keep as much as 97% of the profits from each sale rather than paying extortionate platform fees to Apple or Amazon. The beauty of digital downloads is that they are non-tangible and delivered via email or direct download on your blog. This means, no running out of stock, no delays in the mail, and zero production costs. The result? maximized profit margins. Online courses are another great way to create an info product you can sell on your blog. Generally, it involves a lot more setup to create a course, then building out your course platform and administering it than it does to create a simple static info product. A digital course is evolving and you are expected to keep it fresh and relevant so it’s not just a case of creating it. You need to maintain and improve it as time goes on. You can build your own course platform and LMS (learning management system) on WordPress with plugins like LearnDash and while it takes more time and effort to setup you keep all of the profits. The alternative and more user-friendly approach involves using a purpose-built platform like the popular Teachable service. The only drawbacks here are that you can’t completely customize the user experience and there’s a monthly usage fee based on which plan you take out and a 5% per transaction fee on the basic plan. Ultimately if you don’t want to deal with any headaches and want the entire thing managed then Teachable is probably your best option. Since I am a web developer I can afford to spend time tinkering with building something more bespoke and built into my WordPress environment. With an email course, you are essentially drip feeding lessons to your students in a series of emails. Usually 1 per day for x number of days. Most email courses aren’t too in-depth so this shouldn’t be too difficult for most bloggers to create. You may have seen email courses being used as a free lead magnet however you can also offer them as a paid product too. The benefit of email courses for your reader is that it’s often easier to digest something in bite-sized chunks rather than all in one go so this method can be effective. The benefit to you is that they are easy to create and won’t add any costs because they can be easily set up using your existing autoresponder tools like MailChimp or ConvertKit. The downside is that emails can be considered throwaway and they may not have the same value proposition to your end user compared with something they can download and keep or have permanent access to by logging into their account. If you already have good traffic and an engaged email list you could consider building a membership site or adding a membership facility to your blog. A lot of online courses also add membership and community tools as a way to help increase the value their product provides and to encourage their users to help each other. Humans are social creatures and providing them with a place to engage and talk with people with similar interests, skills or problems is a valuable solution on its own. These can be masterminds with a limited number of people or much larger communities to encourage your community to work together organically. There are many tools you can use to build a community. Some of my favorites include: Slack, Discord, Facebook Groups, Patreon, Discourse or you can build a membership section into your WordPress blog using plugins. Which tool is best will largely depend on your requirements. Facebook Groups is also now offering a way for you to charge users for a subscription to your closed group, something that shows they have taken an interest in how Patreon has effectively monetized communities. Membership products are usually billed on a monthly or yearly basis, so this kind of product can provide a nice source of recurring revenue that lasts for years to come and helps you invest in creating other products and resources for your true followers and supporters. One final benefit of building a community membership service is that it works for nearly every niche, hobby or interest group. There are lots of other digital products you can create and sell to your audience that are easier to categorize as “resources”. These include cheatsheets, workbooks, printables, infographics timesheets, calendars and more. These files are useful reference guides your readers can come back to later when they are stuck with something or they can solve a specific purpose like in the case of timesheets that allow people to create a structure and plan for their work for example. If you are a personal trainer, you could create worksheets for each workout. circuit, or meal plan. A beauty influencer and blogger could create a step by step reference guide on how to achieve different looks. A social media marketing blogger could offer design templates for Canva or Photoshop that can be reused by their readers for their own social media accounts, cover photos etc. The options are endless when it comes to creating short-form info product resources like this and it’s not too hard to find an interesting and unique idea for every niche imaginable. You can even provide your audience with a series of your best blog posts in PDF format in a zip file so they can take them and read them on holiday offline or just keep them for reading later. Some people just don’t use bookmarks very well and being able to save the articles as PDF’s in a folder for safe keeping so they don’t forget about them can be useful. Creating a piece of software, a smartphone app or a SaaS product is definitely more involved than most of the other options and not advised for beginners but if your blog covers the right niche and you have an idea for a piece of software that can solve a problem for your audience, it can be one of the best ways to go. You don’t need to be a software developer to get involved but of course, being technically minded is definitely a plus. Provided you have a good idea and some money to invest you can easily hire a skilled developer from UpWork or one of the many other freelancer websites and commission them to build the software for you and assist you in deploying it ready for sale. SaaS which stands for Software as a Service usually refers to cloud-based software and they are a popular option because they are billed on a monthly basis, providing a source of recurring revenue. You might even want to consider creating your own physical products, though this is something you would only consider after building up a good amount of traffic and rankings relative to your niche first. If you are ranking for some high volume product keywords and currently promoting an affiliate product and already making consistent money, to maximize this revenue stream it might be worth researching if you can create your own physical product to sell instead. You might be promoting popular supplements and health products and then decide you could make something better. If you have the demand then it’s easy to confidently create a product knowing you can make sales from day one and increase your margins by switching from promoting someone else’s product to your own. Physical products can take literally any form and this will be different based on your blog. If you have a popular blog with a good amount of traffic then you might want to check out print-on-demand merchandise. With this option, you can upload your own graphics and designs to a wide range of products including t-shirts, hoodies, baby grows, iPhone cases, cups and much more, choose different colors and then display the products on your blog. Each time a customer makes a purchase the order is placed with your fulfillment partner who manages all of the printing, delivery and even returns if your customer isn’t satisfied. You pay the printing company a set price per piece and then set your retail price to include the margin you want. These days it’s extremely easy to get started and I have written a full guide on using our preferred supplier Printful over on Print on Demand Merchandise Guide. Another option is the big exit strategy, which you should have from the start of any business plan. That means a blog that is steadily generating $1,000 a month could sell for $30,000 on a website selling marketplace. If you have built one blog, what’s stopping you from building a second one and running them side by side with a view to selling one after a couple of years? There are bloggers who start blogs with the intention to sell them within the first couple of years while reinvesting that capital into other blogs and online businesses. Of course, it’s a lot easier to publish an eBook but in this day and age, even physical book publishing isn’t that difficult thanks to print-on-demand options that take care of the hard work for you without you needing to print in bulk. When it’s that easy why not publish your latest work as both an eBook and the hardback and softback physical copies too! It’s a no-brainer and it also means you and your audience can enjoy something tangible that you created. Then you can sell your book on Amazon, your own website and in independent bookstores if you want. While far from passive income, services can provide a substantial amount of revenue that helps you continue to invest in building and growing your blog. We now live in what the experts call the gig-economy. This is because since the credit crunch there has been a massive boom in the number of independent workers, sole traders, and freelancers trying to make it on their own. This includes uber drivers who are their own bosses and essentially take jobs from the app as well as digital nomads and remote workers who work on a freelance basis too. You can provide all sorts of services via your blog and even if you don’t think you have any services to offer yet the internet is full of ways to learn and develop new skills. Everything from setting up blogs, writing, graphic design, consulting, virtual assistant services, managing social media and so on. The list is endless. So what is one of the best ways to advertise your freelance services? Content marketing is one of the best ways to get people in the door and then demonstrate your authority and why you are great at what you do. Over time though, it’s wise to try to work on your other income streams that take less time and are easier to scale. If you take on too many clients, you won’t have enough time to serve your audience to the best of your abilities and the aim the game is to build a business that scales on a one-to-many basis rather than a one-to-one basis. The majority of bloggers who have experienced a taste of passive income will admit that it’s far better than offering your services to unpredictable clients. Technically a service but one of the more common amongst blogs since most successful blogs establish their author as an authority on a subject and those interested in the subjects covered by blogs are also interested in mentoring or coaching services. If your niche or subject involves helping people solve a problem and teaching people new skills then you can offer coaching or mentoring services to people looking to learn more and who want one on one attention or support. 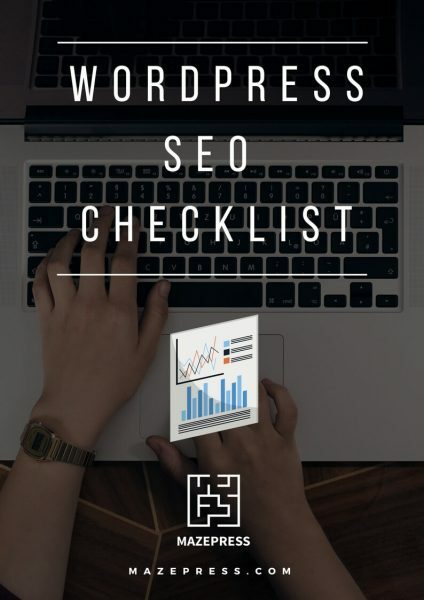 This could involve lifestyle areas like personal development, fitness or weight loss or it could include professional services like learning how to be a better copywriter, how to build WordPress websites or starting an online business. There are lots of angles you can take with coaching. You can offer one-on-one sessions, group coaching and you can add coaching sessions as part of your monthly membership or course. Coaching is obviously a lot easier to scale with multiple students than one-on-one so it’s worth keeping in mind if you are planning on offering coaching services. One of the best ways to seek out specific opportunities whether you want to find out which affiliate products sell well in your niche or which info products your audience might be interested in buying, just go and take a look at your competitors. Chances are you already know who the big players in your space are, so go to their sites and start to look at how they are making their money. If you want to take a fresh look then search Google for your primary keywords, and make note of the sites ranking in positions 1 through 10. Check them out and delete any that aren’t blogs or aren’t relevant and then analyze what they are selling or promoting and see if you can do the same or better. Don’t just look at one sample set, do this research using different keywords and make notes of your findings so you can look for patterns and commonalities. What are most of the people selling, this might help you work out which of the products being promoting is generating the most profit. If you haven’t started monetizing your blog yet or you have tried without much success you should now have plenty of ideas you can implement. When your blog is new or your traffic is low you should tread cautiously with your monetization and ensure you don’t over-monetize to the point where it’s off-putting to your readers. If your website is plastered with ads it will be hard to look credible since you will often be showing unrelated content that harms your brand. Creating too much content that is commercially focussed and forcefully trying to get people to purchase something can also hurt your chance of generating conversions and nurturing your audience. Put your reader’s needs first and then your own second. At first, you want to monetize gradually with affiliate marketing while ensuring to not limit your blog posts to only articles that include affiliate products. Mix it up and create some variation, your priority is to build an audience of loyal readers. If you plan on offering services then I recommend adding them to a page on your menu as this shouldn’t off your visitors and can help you start generating money from your blog. Remember, blogging itself doesn’t make you money, it’s just the vessel that allows you to connect with your audience. Only by nurturing your audience and gaining their trust will you be able to tap into the full income potential of your blog. Once you have monetized your blog the bigger the impact you can have on your readers, the more rewards you willl reap.